Buffalo Zoo welcomes seasonal exhibit of birds from "Down Under"
From Memorial Day weekend through Labor day weekend, guests of the Buffalo Zoo will have a chance to interact with birds originating from Australia. The seasonal exhibit, Boomerang Island, will give patrons a chance to truly get up close to these feathered guests. An estimated 300 birds are residing inside an enclosed structure on the zoo grounds. Just some of the estimated 300 birds of Australian origin that are staying at the Buffalo Zoo this summer as part of the Boomerang Island exhibit, which opens Memorial Day Weekend. 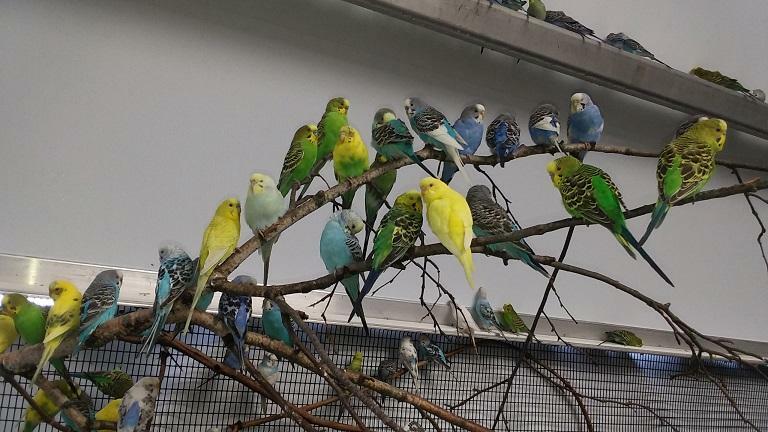 "We have four different species of parrots in here," said Samantha Lawson, exhibit supervisor. "We have our budgies, also known as parakeets. We have cockatiels, which are the smallest cockatoo species. We have Superb parrots and we also have Princess of Wales parrots." They also have laughing kookaburras. Lawson was holding one, a nine-month-old named Sidney, whose tail feathers were not quite developed and is not yet mature enough to display blue highlights in its feathers. 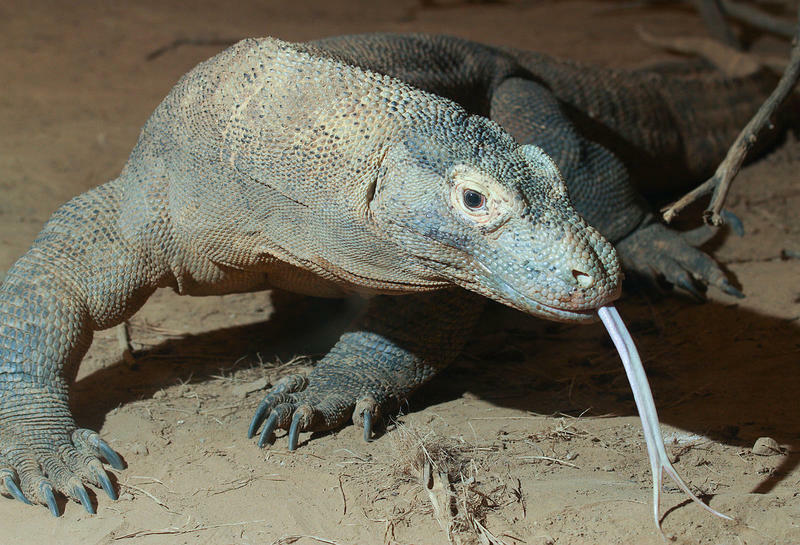 It also hasn't reached sexual maturity and thus, according to Lawson, its gender is still uncertain. For a two-dollar fee, visitors may feed the birds a small sampling of prepared food, seeds on a honey paste. 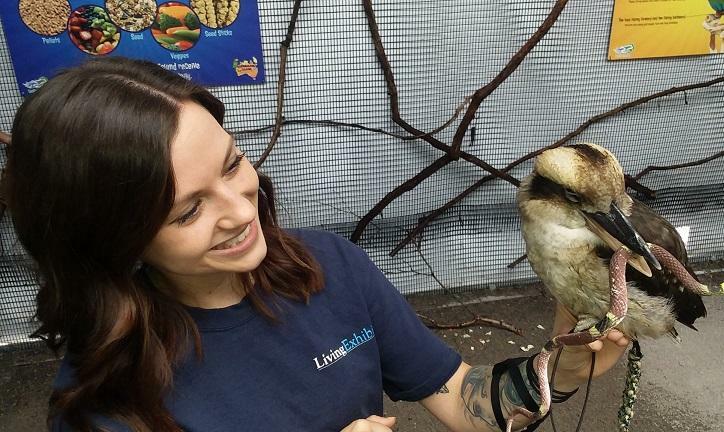 Buffalo Zoo exhibit supervisor Samantha Lawson holds Sidney, a nine-month-old laughing kookaburra. The bird is clutching a rubber snake. Such birds eat real ones in the wild. 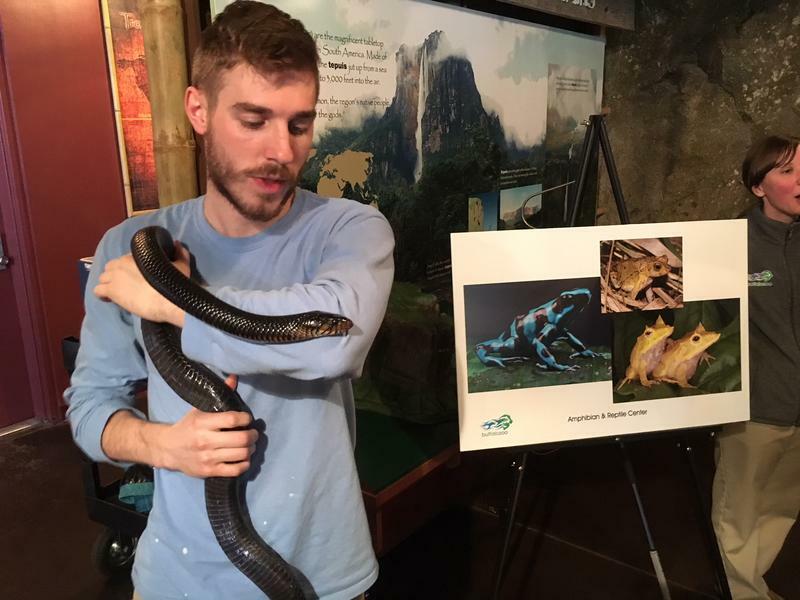 "What's kind of unique about this exhibit is it provides guests with the opportunity to actually have a very up-close and personal one-on-one encounter with an animal," said Norah Fletchall, the president and chief executive officer of the Buffalo Zoo. The exhibit, which opens to the public Saturday of Memorial Day Weekend, will continue through Labor Day Weekend. Fletchall said it will be an annual seasonal exhibit. Two Buffalo Zoo's animals are being shipped to other zoos in the United States. The Buffalo Zoo's Reptile House is now closed for renovations. The list of updates includes a new roof, heating and ventilation system, new and renovated exhibits and interactive educational elements. Zoo President and CEO, Norah Fletchall says, the building is in desperate need of improvements. Fletchall says it was built in 1942 under the leadership of the great Marlin Perkins. 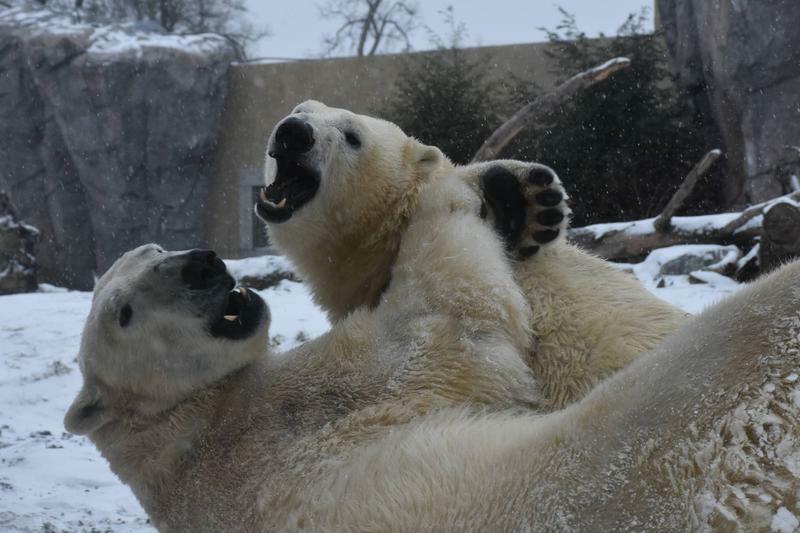 The Buffalo Zoo has seen millions of dollars put into new and renovated exhibits in recent years - and not just because it is such a familiar site for locals to visit. Even some zoo critters are thinking, "Baby, it's cold outside"
Even the hardy snow leopards who call the Buffalo Zoo home might be spending a bit more time indoors over the next couple days.